The temperature is continuing to drop, and steering the kids away from the television and out into the cold is getting more difficult by the day. 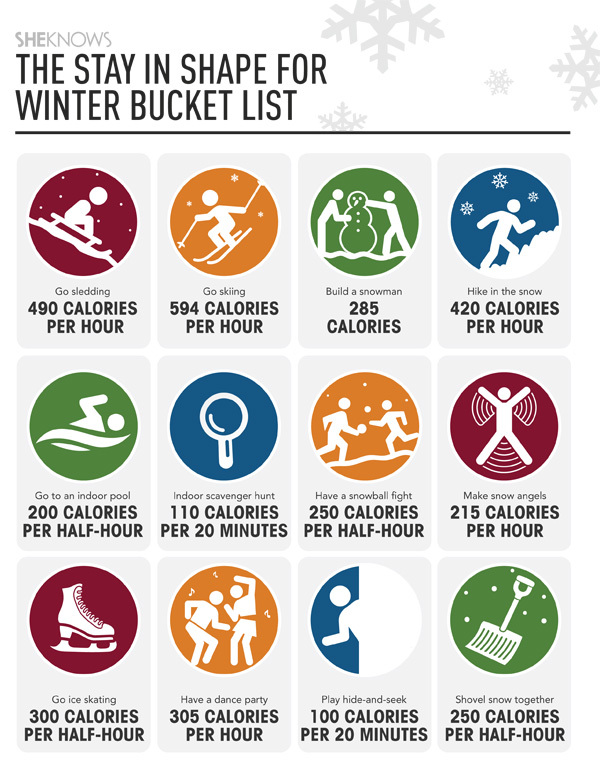 Here’s a great winter bucket list, full of ideas to burn a few extra calories as a family this winter. It’s going to stay cold for a while, and there are more hours of darkness than of sunlight, leaving the kids to spend plenty of time indoors. While it’s tempting to snuggle up on the couch with hot chocolate and a movie, keeping active in the winter is just as important as it is the rest of the year. If you’re having trouble pulling your kids away from the television and their favorite video games, try sneaking in fitness with a twist. 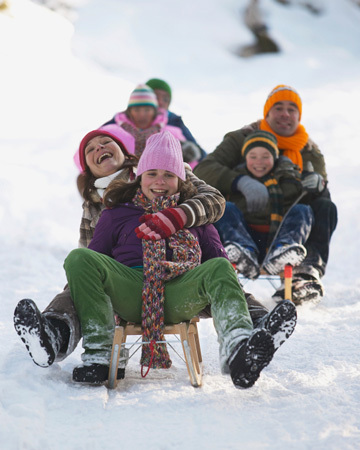 We’ve created a bucket list of family fun to keep you all moving this winter and burning away the boredom, along with the calories. Make sure to print it out and stick it somewhere everyone can see it to remind the whole family to put fitness first! All calorie estimates are based on a 150-pound person and will vary based on weight and intensity of activity.